Theo Thomson is a Malawian born musician, song writer and record label owner. Thomson is owner of the Blantyre-based Matalala Recording Studio. He lived in the UK, where he began to gain an interest in music a performing and moved back to Malawi to expand his music career. His father is a former DJ and owner of Fm 101 Power radio Oscar Thomson. He is also the grandson of former Malawian Minister of Trade and Industry, Harry Thomson. After years of collaborations on various tracks, he released his own debut album 'Gypsy' in 2010. His latest track ‘So Amazing’ received overwhelming requests and airplay on Malawi’s state and private owned radios. It was at number one for a few weeks on the Malawian charts. The song has been popular in Zimbabwe, and Theo also performed the song as an opening act on MTV's Big Brother Africa. 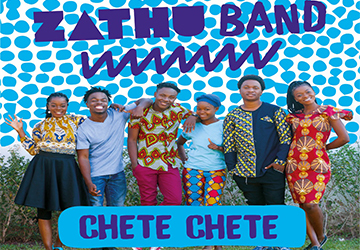 His songs 'Kuthentha' (On fire)' and 'Stutter' have been featured on popular music stations Channel O and MTV. His music style is described as urban, R&B with a Malawian fusion. He has collaborated with Malawian artists like Tay Grin, on his track ‘Maybe This May Be Love’ from his new yet-to-be released album ‘Nyau King’ and on the song ‘One Love One Heart’ by Tapps Bandawe that also features Nigerian artist, 2face Idibia and Zambian K’millian.